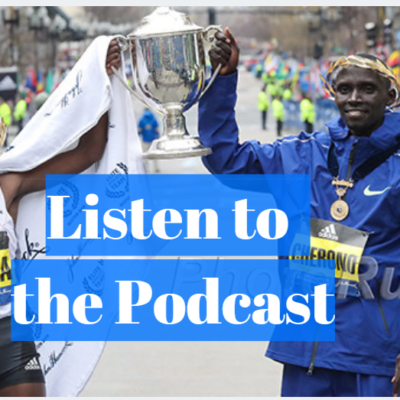 If you missed our coverage of the Olympic qualifying changes, the United Airlines NYC Half, and the Bahrain Night Half Marathon, catch up now. The biggest news over the last week plus has obviously been the changes in the Olympic qualification system and USATF’s braindead decision to not honor the world rankings if there are at least three people in an event who have hit the new, tougher Olympic standards. So USATF will take the 10th placer at the Trials who has the standard over the 1st placer who is ranked 10th in the world but doesn’t have it. Brilliant. We’ve been covering the controversy in great detail on the front page so we will try to not spend too much time on it in this column, but we do want to make a couple of key points. So basically, in the IAAF’s mind, the standards are an insurance policy for a star who has been out of action with injury or pregnancy or for a superstar up and comer. If injuries and pregnancies and rising teenage stars didn’t exist, the IAAF would probably prefer that 100% of the Olympic qualification be done via the rankings as it wants to market world rankings. So everything the IAAF has been doing is to emphasize its new rankings system and yet last Friday USATF said it won’t pay much attention to them. That’s just stupid and could greatly impact the drama of the Trials. And remember, for the last Olympics, the geniuses in charge of our sport did the opposite of what they are doing now. They relaxed the Olympic standards for many events, including the marathon. 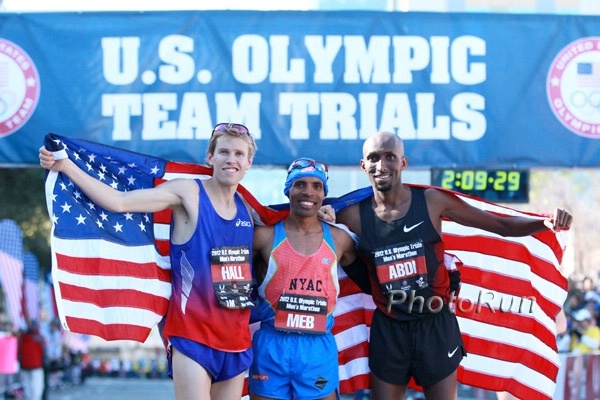 As a result, USATF had to relax its standards due to an arbitration ruling that USATF wasn’t allowed to have standards for its trials stricter than the Olympic standards. 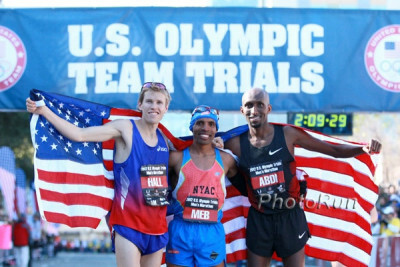 As long as the IAAF tweaks a few things (like granting the top three at the US and Japanese Olympic marathon trials automatic Olympic qualification status and increasing the ranking bonus points given to the US Olympic track and field trials), we’d be ok with the IAAF’s use of a ranking system rather than arbitrary times for Olympic qualification. While we don’t understand why the IAAF doesn’t let a country send any three athletes if they are going to send three anyway (see the next section), the world ranking system would for the most part mean the Olympic Trials were still full of drama. The IAAF should let the US (or any country for that matter) with three qualified athletes in an event send any three athletes it wants in that event (regardless of whether the athletes they send actually have the standard). If the US is going to be sending three athletes to the Olympics in an event anyway, why does the IAAF care which three it sends? I think that’s a great thing to advocate. Why even have a standard for rejecting an entry? It’s not like countries will start sending their worst athletes if we remove the standards. I know their qualification has been different from the US, but case in point: Jamaica was smart enough to send Bolt after his injury caused him to miss their trials. Olympics should be: We show up with our picks (team). You show up with yours. We’ll see who wins. See you again in 4 years. James intuitively understands that in virtually every sport we know of, each team is responsible for picking its own players. So here is our simple solution. Use the IAAF world rankings to figure out how many spots each country gets, as there is a hard cap on the number of Olympic track & field spots (reduced from 2,005 athletes in Rio to 1,900 in Tokyo). Then let each country send who they want. In an ideal world, this would solve the problem, but we’re sure there are a few boneheaded federations who would use it as an excuse to select inferior athletes. So we understand why some may want a system that ensures that every athlete has a body of work in order to be eligible to compete at the Olympics. The IAAF’s decision to get rid of the 5000 at the Diamond League and apparently replace it with a flat 3000 is also stupid. We don’t want to see a flat 3000 in the Diamond League. The IAAF wants to cut four events from the Diamond League, but they’re not truly cutting the 5000; they’re just replacing it with a non-Olympic event. Who in the world thought this was a good idea? No one who understands or appreciates distance running. So if we were picked to choose between six 3000’s on the DL circuit or no distance events (above the mile) at all, we’d honestly say no distance events. When we spoke to the IAAF last week, they kept telling us that they need to get rid of the 5000 for two reasons — to save time, as they are going to reduce the TV window from two hours to 90 minutes; and because they want to hold each event six times. They are trying to promote a singular format for TV and said the top stars don’t want to race six 5000s. Guess what? The athletes don’t want to run six 3000s either. Also, we as fans don’t want to see six 3000s. Why? Because they end up being watered down. No athlete trying to peak for the end of the season wants to race that many distance races before Worlds/Olympics so they’ll skip out on competing at some and then you don’t get compelling matchups. Here’s a simple solution. 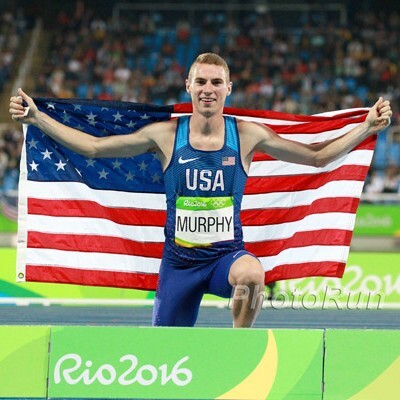 There are 12 Diamond League meets and there are potentially four distance events to run at each Diamond League — men’s and women’s steeplechase and men’s and women’s 5000s. If you put just one distance event in each Diamond League, it would work perfectly as each event would be held three times during the season (plus a fourth in the DL final). The distance event that is held gets more attention, and since the distance events would be contested half as many times as the other events, you could double the prize money in the distances. That way the big names would be less likely to skip it and we’d get more compelling matchups. Run one in May, one in June, and one in July (personally we’d like for the middle one to be a 10,000 but we can’t be too greedy). That way, fans get to see how the stars look early in the season, in mid-season and then a few weeks before Worlds/Olympics. Fewer races is better as it prevents burnout and leaves drama for Worlds/Olympics. Plus there would be a maximum of 15 minutes of distance running at a single DL so there would be plenty of time to fit everything into the 90-minute TV window. Should Brigid Kosgei Now Be Considered The Favorite For London? It’s hard not to declare Brigid Kosgei the favorite for next month’s London Marathon. Yes, normally when Mary Keitany is in a marathon, she’s the favorite. But Keitany didn’t run the RAK Half this year like she normally does as she’s a bit behind schedule and she’s now 37. We’re sorry. 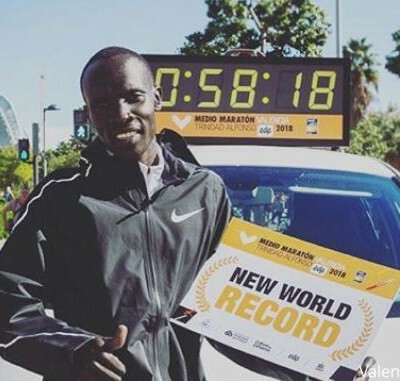 As stacked as London is, unless you are 100%, you aren’t going to win it unless maybe your name is Eliud Kipchoge. And as great as she is, Keitany has only won one of her last four appearances in London. Meanwhile, Kosgei has been on fire. Since winning Chicago in 2:18:35 last fall (only Paula Radcliffe and Tirunesh Dibaba have ever run faster on that course), she won the Houston Half in a course-record 65:50 on January 20 and last weekend picked up a cool $100,000 by winning the inaugural Bahrain Night Half Marathon in 65:28. And she’s 25. 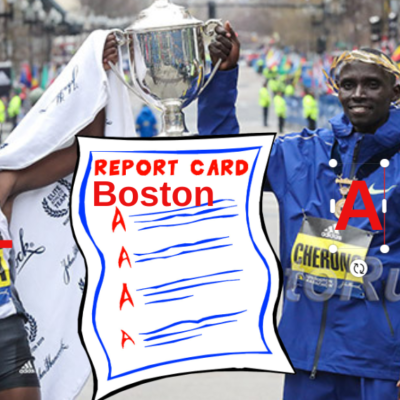 Yes, we know Vivian Cheruiyot won London last year (Kosgei was second) and yes, we know Cheruiyot ran a 66:34 course record to win in Lisbon last week, but 66:34 is slower than 65:28 and Cheruiyot’s victory in London resulted in large part because she paced herself better than Kosgei, not necessarily because she was fitter on the day. At 10k in London last year, Kosgei was 38 seconds up on Cheruiyot. I consider myself a bit of a running nerd and I LIVE in Bahrain and I had no idea this was happening until I read the preview this morning. I still have no idea where the course was. Also interesting that this was held on the anniversary of the crushing of the Bahraini rebellion when Saudi tanks rolled into the country (at the request of the Bahrain king ) and put down the Arab spring. -messageboard poster usnspecialist writing about how little advance publicity there was about the inaugural Bahrain Night Half Marathon, which had world-class fields and $358,000 in prize money. 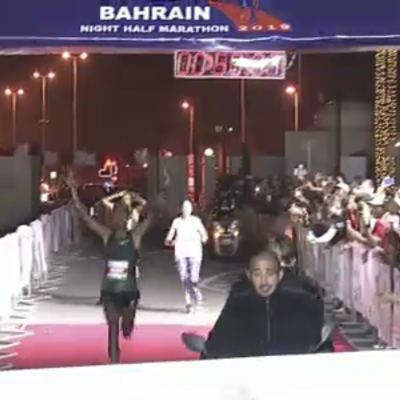 In case you didn’t see the bizarre ending of the men’s race at Bahrain Night Half Marathon for the men, here is the finish where Jimel Yimer celebrated at a false finish line and potentially cost himself $75,000. 80 – number of men that will be allowed to compete in the 2020 Olympic marathon, down from the 155 that raced in 2016. 108 – number of men’s race walkers that we are projecting will compete in the 2020 Olympics between the 20k and 50k. The max allowed is 120 (60 per event) and in 2016 (when the max was 80 per event), 12 men doubled and did both. 60 – number of race walkers that will compete in the women’s 20k in the 2020 Olympics. 95 – number of women that are world ranked in the women’s 20k race walk. 180 – number of men who broke 66:00 at the Tachikawa City Half Marathon, this year’s Japanese University Half Marathon Championships, according to Brett Larner and Race Results Weekly. 265 – number of men who broke 66:00 at the same race in 2015 according to ARRS. Is this the reason why IAAF is doing away with long distance events in the Diamond League? #1 Will The 5,000 and 10,000 Eventually Be Eliminated From The Olympics? – Gebregziabher Gebremariam, former NYC Marathon champ and World XC champ, reacting to the IAAF dropping the 5000 from the Diamond League. –Len Johnson writing in Runner’s Tribe. -excerpt from Roger Robinson‘s Boiling Cauldron: 98 Years of the World Cross Country Championships, which was published in 2001. #5 Is running a gift or a chore? “There is absolutely no substitute for the feeling after getting the best out of yourself in a race. You ride on it for days. And while some people do struggle to understand why pushing yourself to exhaustion is fun (sometimes I ask myself this too), I have yet to meet someone who regretted a run, only the one they did not do. –Bláithín Sheil, blogging on Fastrunning.com about how she loves running. #6 Did he jinx his own company? –Mike Levy, FloSports vice president for global rights acquisition, speaking to the Austin American-Statesman after FloSports (the parent company of FloTrack) got the broadcast rights to some DC United MLS games. We first saw that headline in The Star but maybe the Kenyans felt bad about it as the article link no longer works, but it still is active on kenyantribune.com. “The Indelible Duel – An Oral History Of Franklyn Sanchez Vs. Andy Powell In The 1999 Massachusetts All-State Indoor 2-Mile” Powell, Sanchez, their coaches and others look back at this thrilling race where Sanchez got a shock underdog victory over Powell with an 8:49.60 to 8:50.29. 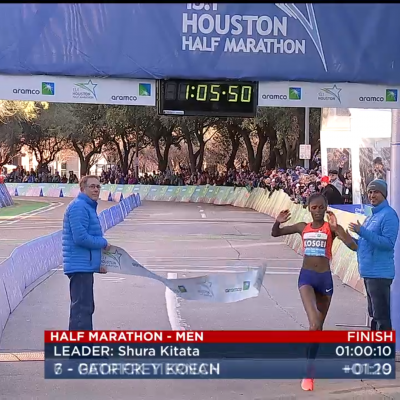 Shura Kitata (60:11) and Brigid Kosgei (65:50) Win at 2019 Houston Half as Emily Sisson (67:30) Just Misses AR!